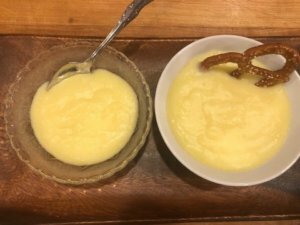 This homemade pudding recipe can be used for pies, graham cracker pudding, or for just eating plain. You can make it vanilla or chocolate, and you can use brown sugar instead of white to give it a butterscotch flavor. The ingredients are what you will have in your kitchen, and you can know exactly what is and is not in this pudding. You can control the amount of sugar if you want to decrease it a little, especially if you will be adding ingredients like bananas or graham crackers. Be sure to decrease the cooking time by one minute for each round. It will keep the pudding from becoming lumpy and will actually help it cook evenly. 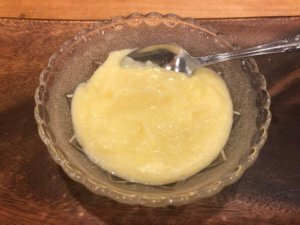 You can use this pudding to make Coconut, Banana, or Peanut Butter pie, or for graham cracker pudding. This recipe comes from my sister Alice. 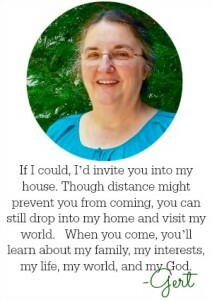 I hear it’s a favorite of folks in her community and church. 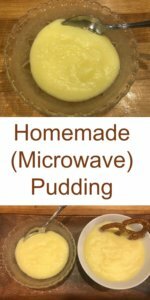 A simple and easy microwavable recipe for homemade - completely made from scratch - pudding. Beat eggs in a microwavable bowl. Cook in microwave for 5 minutes. Stir. Continue to cook in decreasing minutes each time, stirring between cooking times. If using for chocolate pie, add semi-sweet chocolate chips and chocolate wafers, and skip the butter. Cover with a plastic wrap to keep a skin from forming. This makes 3 8-inch pies. Use for Peanut Butter, Coconut, or Banana pie. You can also use this for graham cracker pudding.